An interview with Assistant Professor Mary Cheng, on her recent work on dopamine transporter dynamics, was published by Cell Press, highlighting her recent paper paper published in Structure (see Cheng MH, Bahar I (2015) Molecular Mechanism of Dopamine Transport by Human Dopamine Transporter Structure pii: S0969-2126). 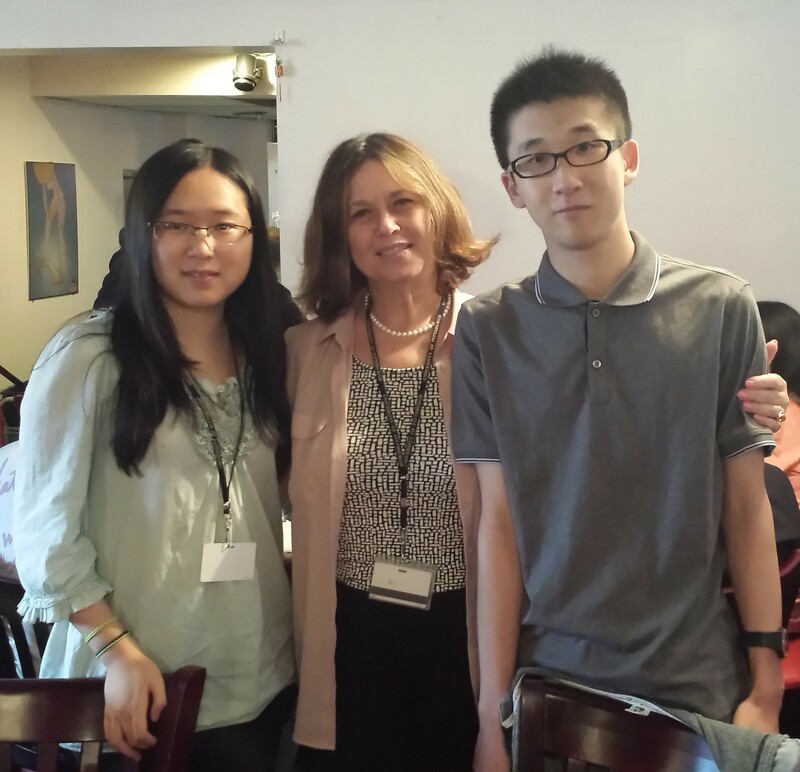 Dr. Bing Liu gave a poster presentation at the Postdoctoral Data & Dine Symposium on Tuesday, May 19, 2015 and won a $500 travel award. He presented his work on "TLR3-TLR7 pathway crosswalk confers innate immune memory and homeostasis." Two outstanding Tsinghua University Research Scholars, Feizhuo Kaitlyn Hu and Wenzhi Mao have returned to their home institutions after successfully completing extensive research, resulting in several publications in the Bahar Lab. We wish them continued success on their scientific journeys! 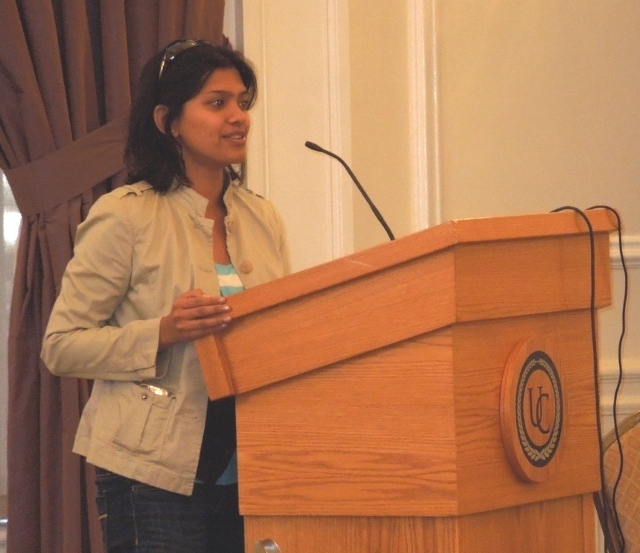 Anindita Dutta's recent award for the "Outstanding Student Researcher in the Department of Computational & Systems Biology of 2012". Congratulations to Lidio Meireles, Ying Liu, and Lin Liu on their successful defenses! 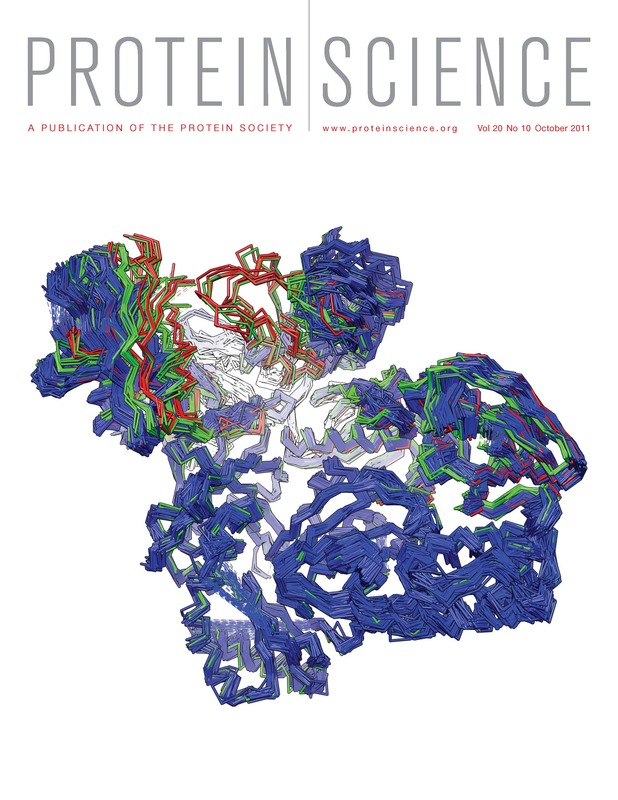 Lidio was first author on the Protein Science article that became the cover of the September 2011 issue, "Pre-existing soft modes of motion uniquely defined by native contact topology facilitate ligand binding to proteins", along with lab members Dr. Mert Gur, Dr. Ahmet Bakan, and Dr. Ivet Bahar. 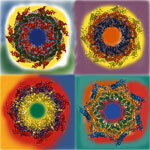 Ahmet Bakan's recent PNAS paper on drug binding mechanisms vs. intrinsic changes in shape(PDF). See also his paper: "In vivo chemical screen in zebrafish reveals a novel modulator of FGF signaling"
and related commentaries: " Small molecule inhibitors: Another one bites the Dusp." Former student Lee-Wei Yang published article in Pitt magazine " Investigations: Explorations and revalations taking place in the medical school"
The work of Mary Cheng and collaborators shed light into the modulation of dopaminergic signaling by targeting human dopamine transporter (hDAT). The comparison of the effects of binding dopamine (DA), amphetamine (AMPH), orphenadrine (ORPH) (repurposable drug) and cocaine to (DAT) showed that DA or AMPH drive a structural transition towards a functional form predisposed to translocate the ligand. In contrast, ORPH inhibits DAT function by arresting it in the outward-facing open conformation. Further assays show that that ORPH, like cocaine, alters DAT uptake and endocytosis. Most recent study of Dr Gur. published in Biophys J is highlighted in Ricardo Baron's News & Notable, "Fast sampling of A-to-B Protein Global Conformational Transitions: From Galileo Galilei to Monte Carlo Anisotropic Network Modeling The new methodology, coMD, introduced by Gur et al is stated to "surely prompt new exciting routes to rapidly connect A to B, and vice versa." "Allosteric Transitions of Supramolecular Systems Explored by Network Models: Application to Chaperonin GroEL." Yang, Z., Majek, P., & Bahar, I. (2009). PLoS Comput Biol. 5: e100360. PMID: 19381265. 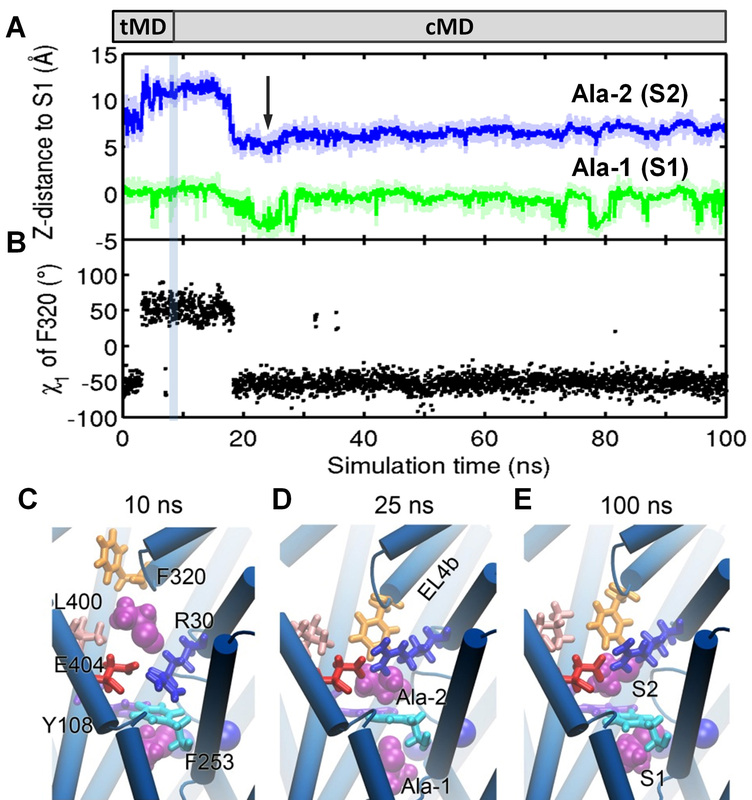 "Molecular simulations elucidate the substrate translocation pathway in a glutamate transporter." Gu, Y., Shrivastava, I. H., Amara, S. G., & Bahar, I. (2009). Proc Natl Acad Sci U.S.A.. 106: 2589-94. PMID: 19202063. "Signal propagation in proteins and relation to equilibrium fluctuations." Chennubhotla C, Bahar I. PLoS Comput Biol. 2007 Sep 21;3(9):1716-26. 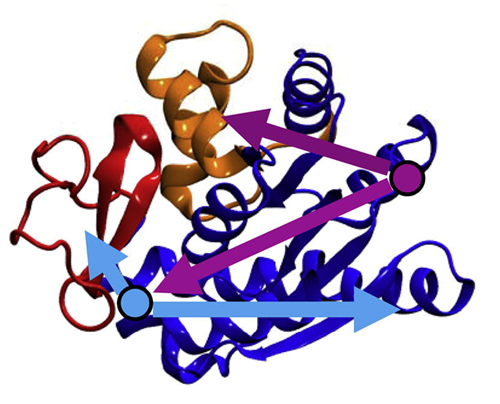 "Intrinsic dynamics of enzymes in the unbound state and relation to allosteric regulation." Chennubhotla C, Bahar I., Tobi D. (2007) Curr Opin Struct Biol. 17:633-40. 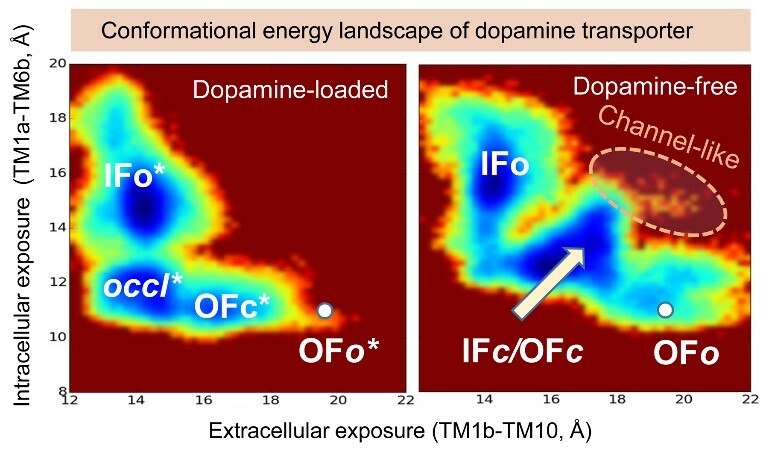 "A Quantitative Assessment of the Energetics of Dopamine Translocation by Human Dopamine Transporter." 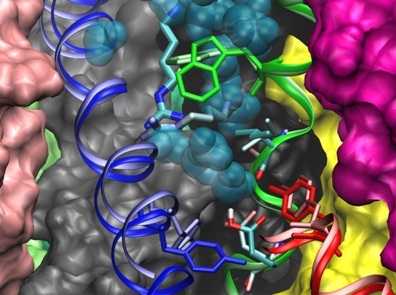 We focused on the dopamine-binding and –unbinding free energies of human dopamine transporter (hDAT) using advanced molecular dynamics methods and characterized the conformational spectrum of hDAT. Transition of apo hDAT from outward-facing to inward-facing state, and vice versa was studied, permitting us to generate for the first time a first estimate of the energy landscape of hDAT. 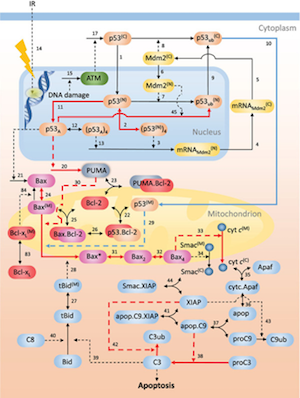 Controlling ionizing radiation (IR)-induced cell death mitigates radiation damage. Examining tumor suppressor protein p53 network dynamics in response to IR damage found that the strength of p53 transcriptional activity and its coupling (or timing with respect) to mitochondrial pore opening are major determinants of cell fate. Bahar research featured in winter 2014/2015 issue of Pitt Med. This is a first attempt to complete the molecular description of all steps involved in LeuT transport cycle. 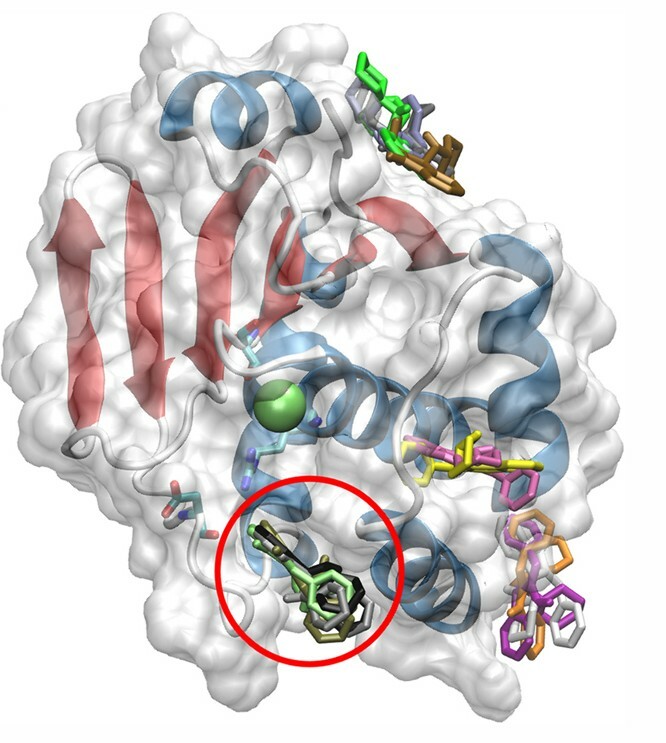 Notably, the secondary substrate-binding site S2, the functional relevance of which has been debated, appears to stably bind an alanine only when the transporter assumes an intermediate conformer close to inward-facing state.